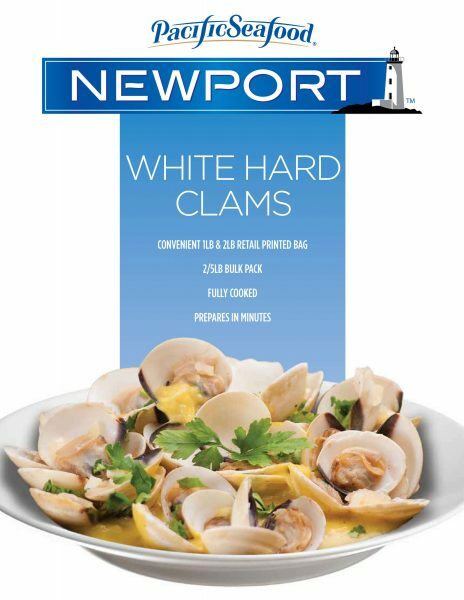 The wide variety of clams available today make this a popular shellfish that can be eaten as an appetizer or entrée, depending on how you serve them and what type you have. 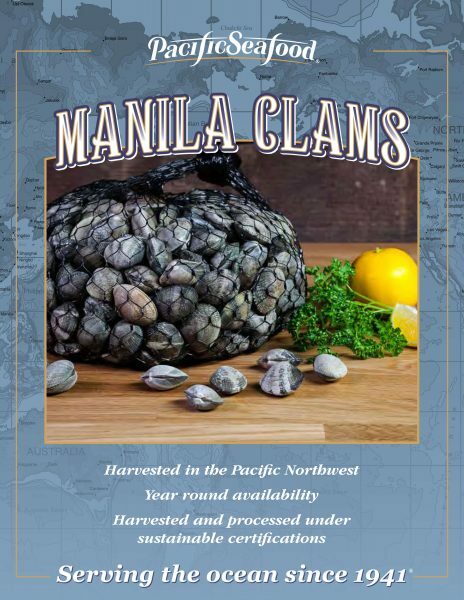 On the West Coast, Manila clams are plentiful. These “steamer” clams are often steamed and eaten from the shell with butter and garlic. They can also be included in pastas or chowders. The common hard clam on the East Coast is eaten similarly, and is called by many different names: littleneck, topneck, and cherrystone to name a few. Razor clams, from the Pacific Northwest and Alaska, are generally cleaned just after capture and their tender meats are most often served fried. Venus clams are a new species to the U.S. market. 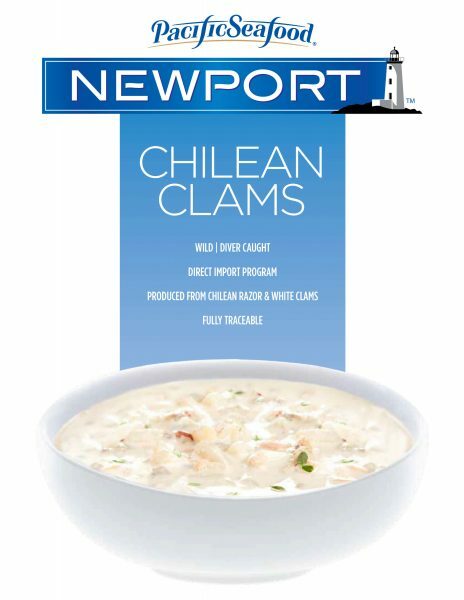 Farmed in remote bays along the West Coast of Mexico’s Baja Peninsula, Venus clams are harvested by hand and placed in racks prior to harvesting to remove any grit. 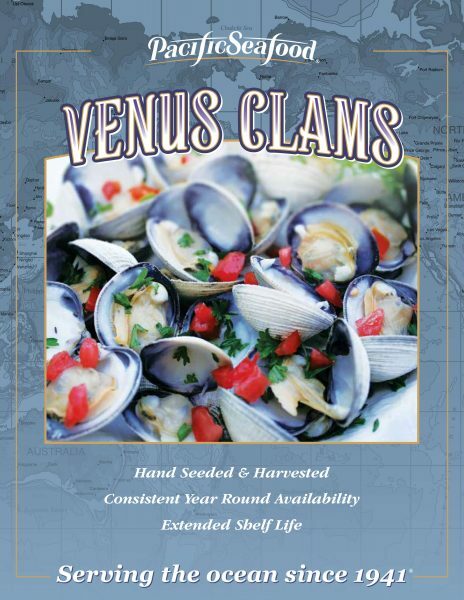 An excellent eating clam, Venus clams are slightly larger and more economical than manilas or littlenecks. 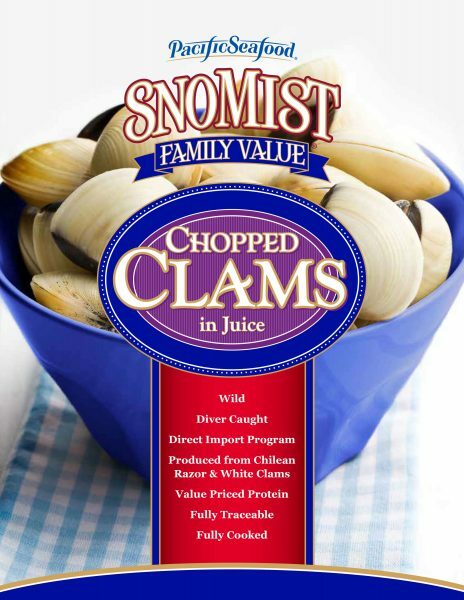 Surf clams and ocean quahogs, which are processed for use in chowders and breaded strips, are our biggest clam resource by far, producing annual harvests of about 90 million pounds per year (meat weight).